Thomas Gerry investigates the unique artistic vision of poet, painter and playwright James Reaney, revealing the ‘magnetic arrangement’ that links Reaney’s emblems with some of his best-known fiction, poetry, drama and artwork. The literary emblem can trace its roots back to sixteenth-century English collections, which sought to reconcile classical philosophy with Christian doctrine. Consisting of images and verses, emblems challenged readers to use their wit and knowledge to deduce the connection between the visual and the textual. 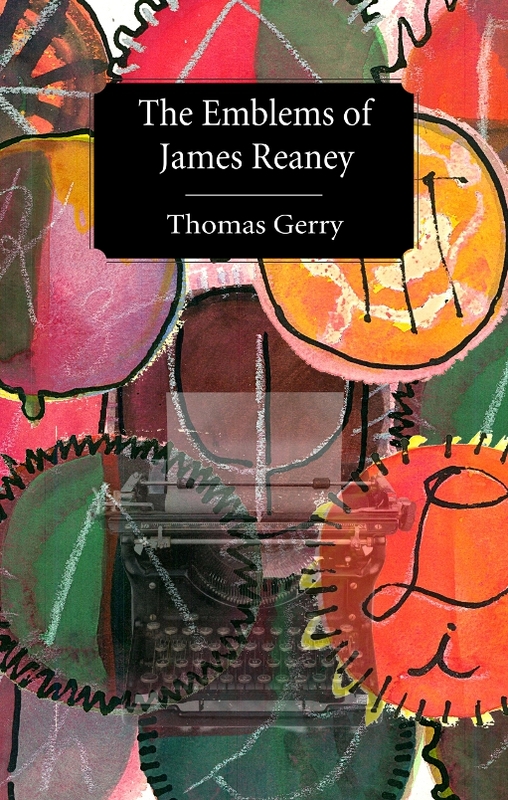 In The Emblems of James Reaney, former Reaney student and professor Thomas Gerry draws on his own considerable wit and knowledge to help readers understand the myth, mystery and meaning behind ten literary emblems, published in 1972 as ‘Two Chapters from an Emblem Book’ by poet, playwright and painter James Reaney. Gerry conducts an exhaustive investigation of the ‘magnetic arrangement’ that links each emblem with some of Reaney’s best-known fiction, poetry, drama and painting. His detailed analysis of the visual and verbal aspects of each emblem draws on alchemy, biblical mythology and Haitian voodoo. By referring to the influence and inspiration that Reaney drew from William Blake, Edmund Spenser, Northrop Frye and Carl Jung, Gerry reveals the overall cycle of meaning behind the emblems and shows how Reaney marries the opposing concepts of art and experience into a unified artistic vision. The Emblems of James Reaney presents a fascinating organizational scheme within which to study some of Reaney’s most beloved works, encouraging readers to frolic in the playbox of Reaney’s imagination and to revisit his work – and Canadian literature – with new eyes. Reaney’s emblems are examined as a multi-leveled artform, as Thomas Gerry presents a guided journey through the artist’s imagination. In this illustrated book, The Emblems of James Reaney: Magnetically Drawn, Thomas Gerry, professor of Canadian studies at Laurentian University, presents a thorough and appreciative voyage among the graphic images of the multi-talented James Reaney, whom he regards as both mentor and friend. Reaney, poet, playwright, essayist, and in this context, painter/artist, is examined through his remarkable use of emblems. Within the large body of his artistic work, Reaney’s lettered and inked emblems bespeak his deep connection to classical archetypes and analogues. The text reads like a guided tour through a museum of Reaney’s imagination. Each of the artist’s ten published emblems (an image with a motto, usually allegorical) is lovingly presented in its own chapter (The Castle, The Tree, Windlady, etc.) and analyzed on its intrinsic merit as well as for its place in the totality of Reaney’s work. Each emblem is accompanied with an exhaustively researched treatise on its origins, implications, and impact. Quotations from Reaney’s literary output are strewn throughout the book, including this statement of the power of song--like emblems, another symbolic device--from one of the artist’s plays: "The meaning’s felt often before it’s seen; My heart knows what my rusted mind does not." While intensely focused on the work of Reaney, this exploration can be appreciated even by those new to his productions. Thoroughly researched and annotated, the book provides even the uninitiated with all the information and context required to arrive at an admiration of the full reach of Reaney’s creative endeavors. The reverence the author feels for his subject matter is apparent. Further, the book serves as a rich source document for anyone wanting to learn about emblems as an art form, and their historical context. Gerry aptly provides the reader with a backdrop of Canadian art history, and Reaney’s place therein. The book is printed on heavy paper, worthy of mention as it allows the reader to get a true sense of the definition, intricacy, and brilliant color (where applicable) of Reaney’s favored emblems. The cover is an image of an original Reaney watercolor, providing yet another sample of this man’s almost unlimited artistic range. The Emblems of James Reaney will be well received by Reaney followers, but is also suitable for students of the art and arcana of emblems, as well as for those interested in Canadian art history. The Emblems of James Reaney explicates the symbol systems through which Reaney advocated metaphysical transformations in ten visual/verbal emblems he published in the magazines Poetry and Armadillo in 1969-70. Gerry offers analyses of each emblem in conjunction with specific examples of Reaney’s other work that they illuminate. These include the plays One-Man Masque and Listen to the Wind, the poetry collection A Suit of Nettles, the opera Taptoo!, individual poems such as "To Bishop Berkeley" and "Granny Crack," as well as three fine Reaney paintings. The breadth of Reaney’s artistry and talent is impressive and its theme consistent: to help us to see the world afresh and bring about spiritual renewal. Reade God aright, unless he first spell Man. . . . The Emblems of James Reaney explores ways in which these emblems are key to understanding Reaney’s poetry, plays, librettos, fiction, essays and paintings. Since the artistic vision intrinsic to all of Reaney’s works is especially intense in his emblems, they offer an effective organizational scheme, a series of starting points, to explore a further range of his productions – not all of his works, but the ones attracted most readily by the emblems. Technically the emblems resemble woodcuts; Reaney lettered and drew them in ink with pen and brush. Five of the emblems were first published in Chicago’s Poetry journal in 1969. In 1972 they were reprinted, along with a further five emblems, as ‘Two Chapters from an Emblem Book’ in Reaney’s Poems. These two chapters are actually all that were published, although there are several unpublished emblems by Reaney in private collections. The emblems bring to Canadian literature the sixteenth-century European and seventeenth-century British Protestant tradition of emblem making, and also transform that tradition in the context of twentieth-century Canada. There are many variations, but an emblem is essentially a hybrid production: a picture with a title or motto, and an accompanying text, usually a poem. Readers are expected to use their wit to formulate the relation of the picture to the words. A challenge facing anyone who attempts to articulate the meanings of James Reaney’s work is that so much is involved, even though the work itself at first might seem uncomplicated. In some ‘Production Notes’ for Listen to the Wind, Reaney observes that ‘The simpler art is, the richer it is’ (141). This maxim certainly applies to his emblems. 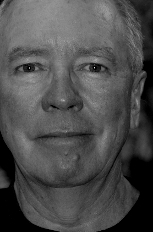 While his creations are based on his sophisticated understanding of English culture from the Renaissance to the Modern period, as well as his encyclopaedic knowledge of Ontario’s culture, nevertheless Reaney’s writing and artwork are in some ways child-like: they toy with words and images, and draw audiences and readers into their playful worlds. His entire book of Performance Poems (1990) is prefaced with Reaney’s ostensibly casual invitation to ‘try out these new pieces as a way of giving groups of people an experience of poetry’s power to reach out and focus an audience that may have long forgotten how nursery rhymes and street games stir up the soul with the joy of unifying so many of the senses, so many of your friend-circle’ (3). The meaning of the pieces, Reaney suggests, is the shared experience of remembering and finding joy. The phrase ‘groups of people’ highlights his wish to bring performers and audiences together into community. Individually, remembering in some depth calls for research, depending on one’s level of curiosity, and the efficiency of one’s memory; just who is this ‘Sir Charles Goddam Roberts’  anyway? Reaney’s elaboration of the joyful experiences of poetry as ‘unifying so many of the senses’, also suggests why he inclines to multi-sensory, multi-art creation, such as emblems, plays and opera, with their texts, images and sounds. With his poems, plays, fiction, essays and emblems, Reaney does create visions and stories that ‘work’. He observes later in the ‘Vision in Canada?’ article: ‘Unlock the mind-forged manacles and the infant will stop crying with fear and the soldier sighing as his blood no longer runs down palace walls – to paraphrase Blake’ (944). Northrop Frye, in his masterful literary study Fearful Symmetry, also refers to the English Romantic poet William Blake to explain the poet’s social function. I quote at some length here because the ideas are fundamental to Reaney’s art too, as echoes of the previous statements by Reaney indicate. Before focusing on the emblems, it will be useful to understand Reaney’s artistic practice which is closely related to emblematic thinking – the use of wit in particular. This background, I hope, will create a greater appreciation of exactly why his emblems are fundamental to his work as a whole. Thomas Gerry launched a successful career as a Professor of English at Laurentian University in 1988. Currently, Gerry sits on the advisory board for Studies in Canadian Literature, reviews books for scholarly journals and has published numerous poems and articles – and even several music recordings. His fascination with interdisciplinary topics has led him to research the works of Anna Jameson, Elizabeth Simcoe, Joni Mitchell, David Milne and others who write as well as create visual art. He has produced several articles on the subject, including one about Reaney, which is the genesis of The Emblems of James Reaney. Gerry continues to teach courses in Canadian thought and culture, literary and critical theory, and English literature at Laurentian University. Upcoming projects include further studies of text and images by Anna Jameson and Elizabeth Simcoe, as well as a forthcoming book by Mercedes Luanco entitled Una Experiencia Sorprendente: Aprendiendo a Pintar / The Story of an Encounter: Painting My New Way that he edited and co-translated with Jorge Virchez for Scrivener Press.